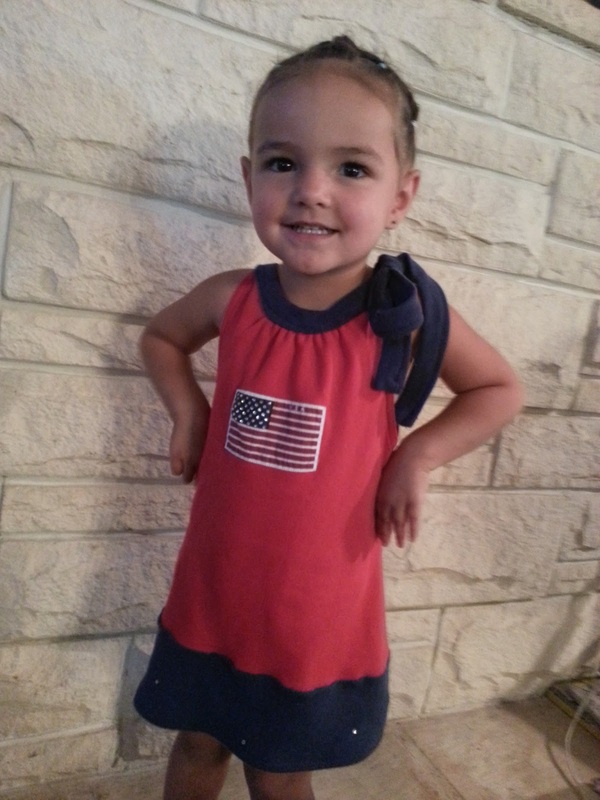 Well today's posts seem to have a theme...Here is dress #2 made from GGs shirts..
1. 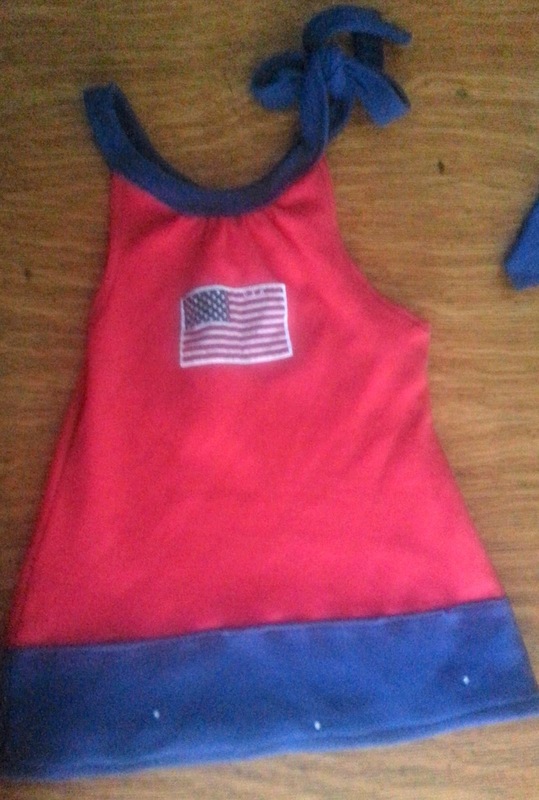 Grab a tank top that fits your little one and cut the neck line and arms. You will want to leave the neck line and dress width a little wider than the Tank top to allow for gathering and comfort. 2. 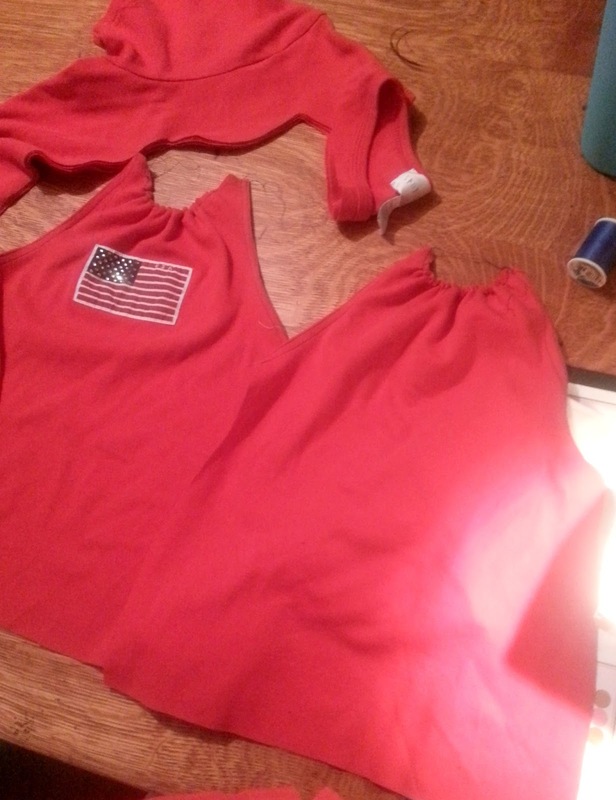 Flip under, pin and sew the arm hole twice to make a hem or you can use bias tape. 3. Gather the neck line by basting 2 lines and pulling the thread. 4. 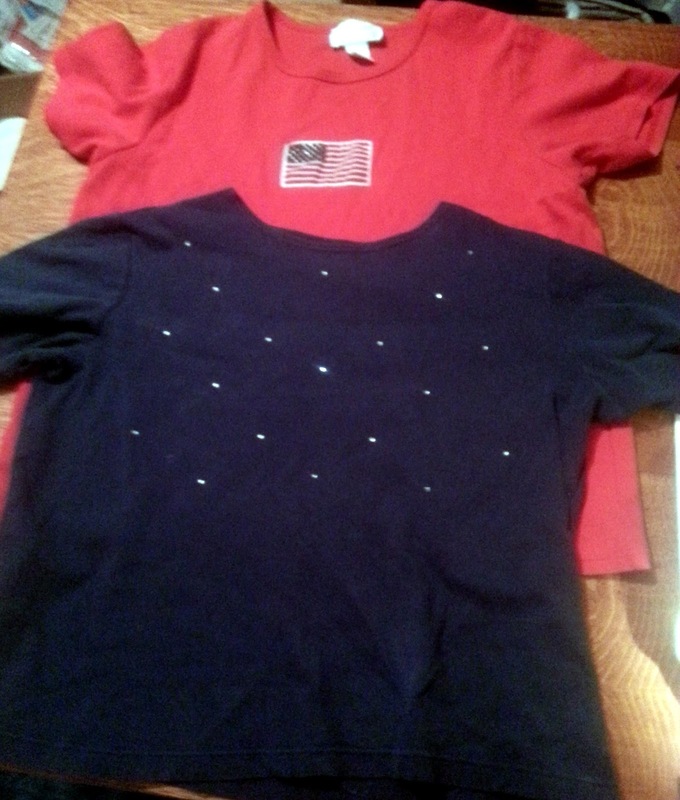 Cut a strip about 3" wide off the other t shirt for the neck pieces. Iron the strip in half and then pin the inside to both neck pieces leaving 4" in in the middle of the 2 piece for one shoulder and all the rest hang off evenly for a bow on the other side. Flip over and close the casing. 5. Cut another strip from the 2nd shirt about 6" wide. 6. Place the bottom piece 5" above the bottom of the dress right sides together and sew to each piece.